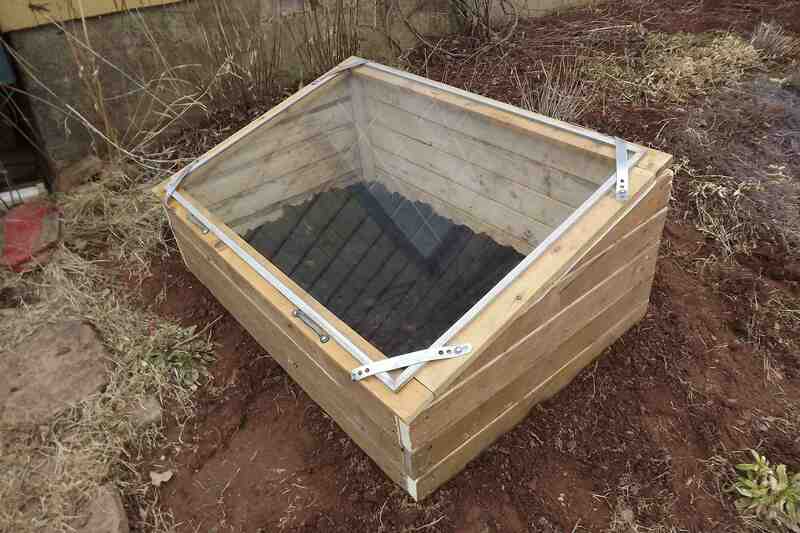 Cold frame, good. Fresh garden greens, radishes and green onions, good. Windy day and open cold frame, bad. The picture about sums it up. 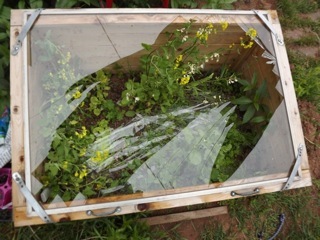 Don’t leave the cold frame propped open on a windy PEI day without securing it. Lesson learned. We had finished most of the greens. They were starting to bolt. Picked out all the glass, cleaned out all the plants and more glass, removed the top and replanted. Now the cats think it is a lovely outdoor litter box just for them. Must reseed and find mesh for the top until the plants are up. Then I’ll start looking for a new window to fit the cold frame. 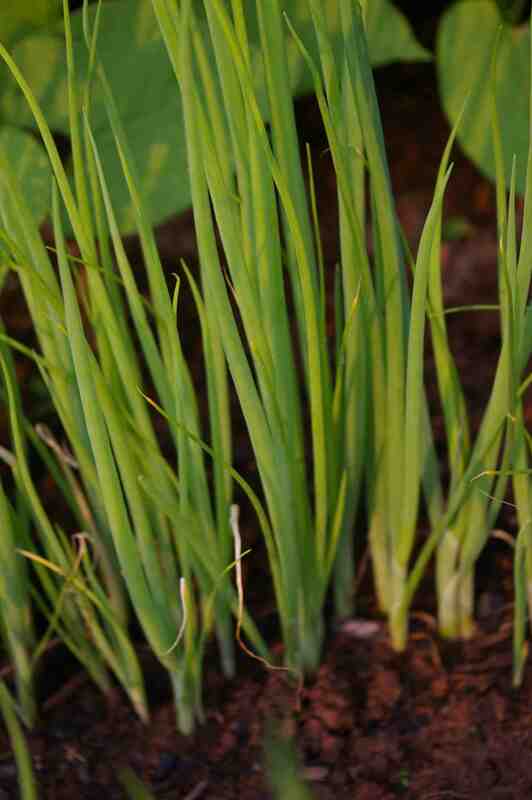 Let's hope the green onions grow as well as these did in the garden last year. 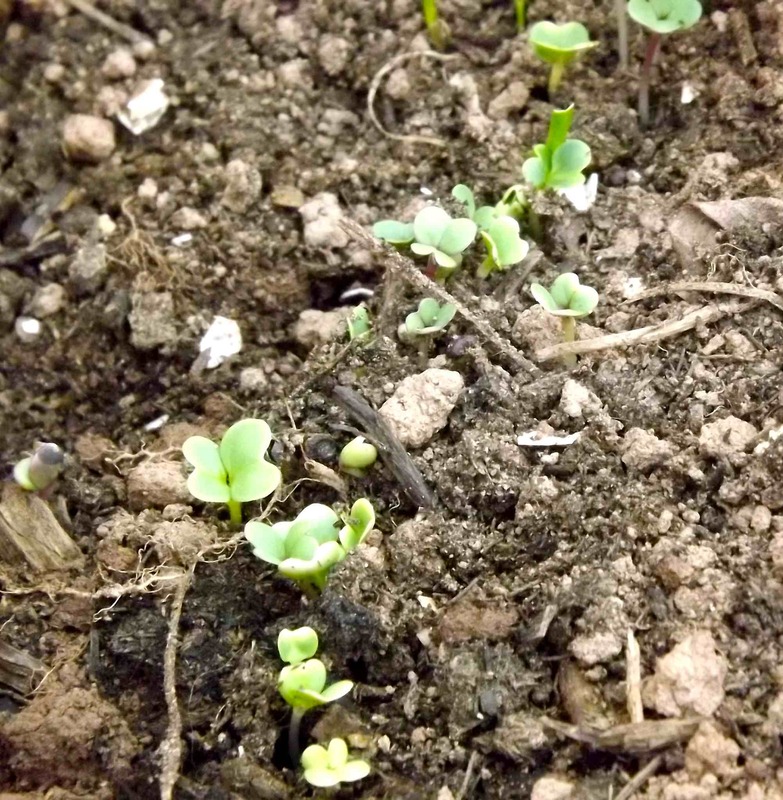 Quick update on the cold frame: after snow, blizzards and other March weather, we planted lettuce, mixed greens and green onion seeds in the cold frame today. It was up to 25 degrees Celsius in there today, only about 7 or 8 outside, so it is functioning. Yay! 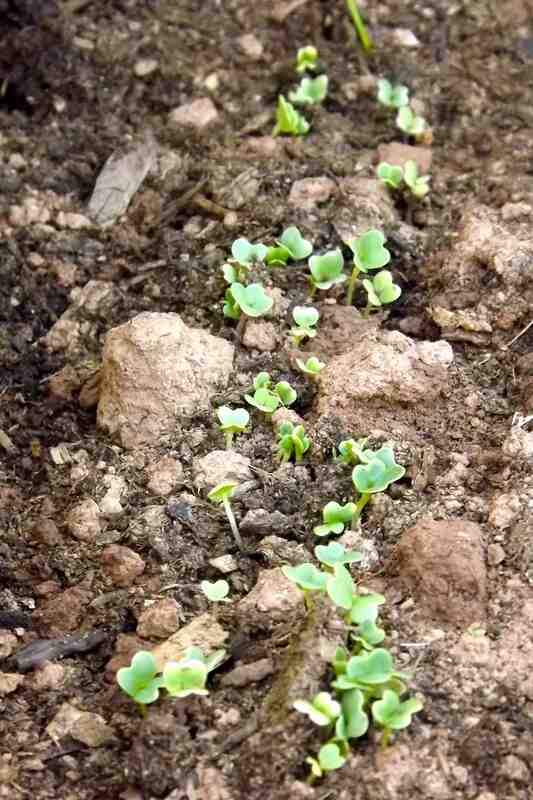 I’ll add a photo from this year when we see some growth.